In honor of Veteran’s Day on Friday, Nov. 11, and Veterans Awareness Week on Nov. 7-12, the Veterans Advocacy Law Organization (VALOR) is sponsoring a number of events at the law school including a Marine Corps birthday cake cutting ceremony, says VALOR President Chris Salemme (JD ’17), 1st Lieutenant, U.S. Army. A free legal workshop VALOR had planned to host on Saturday, Nov. 12, in the Law Commons for all veterans and current service members has been postponed until the spring semester. VALOR was founded to educate students about veterans issues and laws, to support homeless veterans in Winston-Salem and to provide opportunities for students to volunteer to help veterans and military families. What: Join your classmates who served in the USMC for a special cake-cutting ceremony to celebrate the Corps’ 241st birthday. Free cake will be served. 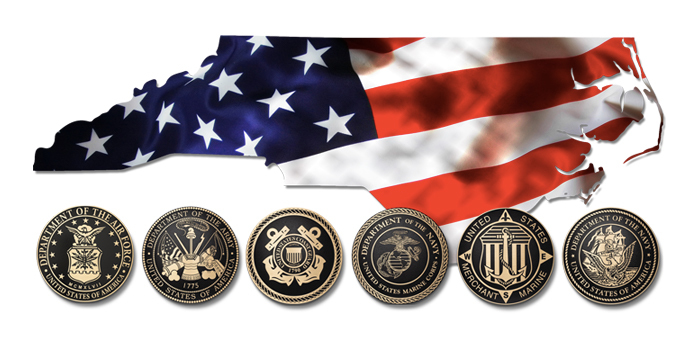 What: The WFU Law School community will recognize the men and women among us who served or are currently serving in the United States Armed Forces.